Last chance for BIG September Savings at GoDaddy! 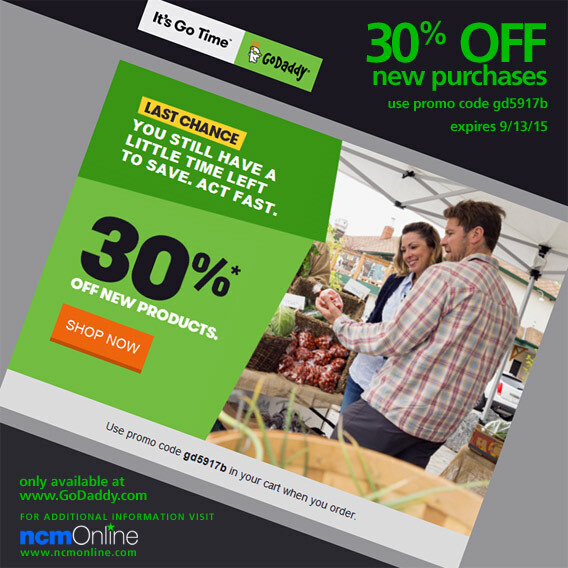 Shop now to save big with a 30% discount on your new purchase from the GoDaddy catalog of services and products. Use promo code gd5917b in your cart when placing your order. Offer expires September 13, 2015.